Britain Cricket - Pakistan v India - 2017 ICC Champions Trophy Final - The Oval - June 18, 2017 Pakistan celebrate winning the ICC Champions Trophy Action Images via Reuters / Paul Childs Livepic EDITORIAL USE ONLY. Ex-Indian captain Saurav Ganguly gives India a 73% winning chance. The bookies somewhat agree and give 1/3 for betting on Pakistan. India are clear favourites. Meanwhile, the Pakistani public, the social media, and the entire nation do what they know best. They pray a little harder. First conundrum of the morning: win the toss and bat? Or bowl? Pakistan cannot chase well, and well, India can chase anything. Looks like a flat pitch, but a fresh one. For Virat, it is simple: win the toss, bowl first. For Sarfraz, probably a good toss to lose. He could have very easily fallen into the death trap of chasing a big total in a massive final against India. Pakistani openers Azhar Ali and Fakhar Zaman start the proceedings. First over is a maiden by Bhuvneshwar Kumar. India have done their homework. They bowl a tight line to Fakhar and give him no width. India are prepared. They are wired to win. They are facing Fakhar for the first time, but they know he likes width. They give him none. Fakhar has been pegged on the stumps for eight deliveries and then Bumrah floats one outside off. Fakhar follows it and edges to Dhoni behind the stumps. But Pakistani prayers intervene and the first signs of magic appear. Bumrah has overstepped, it’s a No Ball. Fakhar gets a life. It is the start of lady luck playing in Pakistan’s favour. Inside edge goes for four, outside edges go for four, and it even races off the helmet for four. India miss clear run out chances against both Pakistani openers. And luck continues favouring the brave. Fakhar and Azhar take their chances, keep stealing quick singles and flash their bats at anything on offer. But it is not just boom-boom, bam-bam Pakistani batting. They have a plan too. They have targeted men in their minds. They know whom they are going after today. Ashwin, who was not picked for the first game against Pakistan, bowls the eighth over. And Azhar charges down the ground and smashes Ashwin out of the park for a six. The tone is set. Pakistan will attack Indian spin. Pakistan blow punches, but are also circumspect. India feel the heat, and their fielding standards drop a notch. 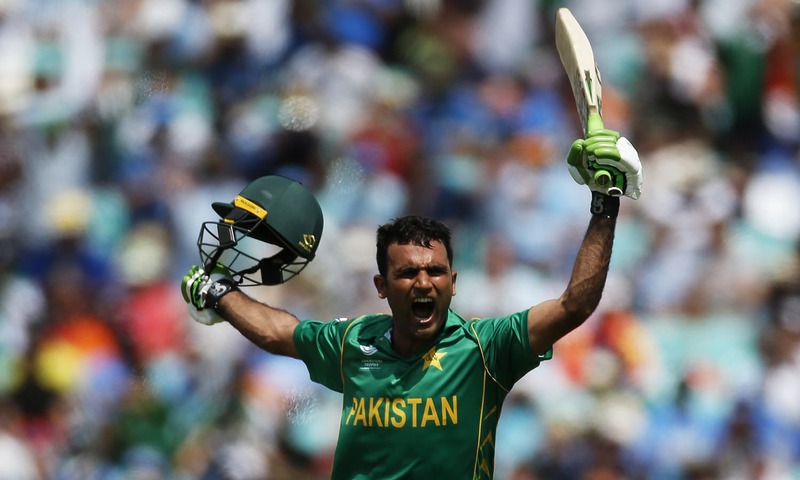 Fakhar hits straight to Yuvraj Singh but it goes through him to the boundary for four as Fakhar gets to his third consecutive fifty. Is Fakhar the opener Pakistan has been searching for? Three fifties in four games with a career strike rate of 113 – so far, so good. Keep going, lad. They run hard and take risks, till they are caught ball watching. Azhar is finally run out and is visibly upset. Some of the blame for the blunder is on Fakhar, but most of it is on lack of communication. 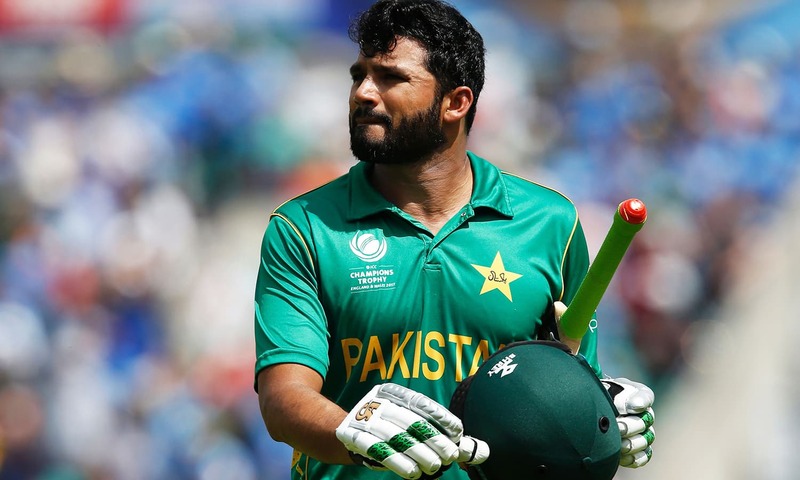 Azhar had taken the initiative in the partnership and was surprisingly scoring faster than Fakhar. But this is where Fakhar changes gear and scores 58 off the next 37 deliveries, smashing three sixes and five fours. Reaching his first maiden hundred in style, but holding out in the deep not much after. It was not the classiest hundred that one would see, but it was as important as any. Babar Azam and Shoaib Malik tick the scoreboard but are not able to really explode. Then walks in Mohammad Hafeez. The first ball he steps out of the crease and hammers it down the fence. For once, Hafeez is not given the liberty to play himself in. He does not have to rotate strike cause he’s striking so clean. We know that Hafeez can time the ball as good as anyone in Pakistan. Maybe coming in at number five is more suited for his game play. Maybe when the professor has fewer options, perhaps when the game dictates play, he will not need to complicate things, like he so often does. India are on the back-foot and feeling the pressure of a big game. They give away 25 extras. In their first game against Pakistan, they had given eight. With runs on the board, Pakistan is in command. But this is India. If there is anyone in the world who can chase down a mammoth total, it is Kohli and his men. However, they are up against the most potent bowling attack of the tournament. In the last three games, Pakistan restricted South Africa to 219/8, bowled Sri Lanka out for 235 and bundled England for 211. The new ball is in the hand of Pakistan’s ace fast bowler, Mohammad Amir. He angles two of them out and brings the third one back in – truly reminiscent of Pakistani left-arm god, Wasim Akram. The ball is too good for Rohit Sharma, who has scored 301 runs in the week with an average of 101. But he now returns to the pavilion with a duck. Fast bowlers hunt in pairs. And Junaid Khan is steaming in from the other end. The last time Kohli had to walk in this early was in June, 2015. He is not used to this, and he is up against Pakistani fast bowlers who have their tails up. Amir bowls another jaffa that catches the outside edge and flies straight into the hands of Azhar Ali at first slip, and then falls out of it. Kohli is dropped on five. Kohli, who has 17 hundreds when batting second. The 23-year-old Kohli had clobbered Pakistan for 183 not out and chased 330 runs in less than 48 overs. Now he is 28, Indian captain and the number one batsman in the world. Amir is livid, and rightly so. Then something very Pakistani happens. Amir gets Virat twice in two balls. Pure Pakistani magic! Amir is on fire, so is Junaid. Both have bowled maidens. But it is Amir who strikes again. This time, his victim is Shikhar Dhawan, the holder of the Golden Bat, the leading run scorer of the tournament. India are reeling at 33-3 in nine overs, and Amir has taken 16-3 in five. Amir has stream-rolled through Rohit, Virat, and Shikar; the top three Indian batsmen who had contributed 82% of the runs (894 out of 1094) that India had scored in the championship, before the final. Yuvraj Singh and MS Dhoni stand as the last ray of hope for India. They stand between Green Glory and Bleeding Blue. But there is little respite. Fast bowlers hunt in pairs, but Pakistani fast bowlers are known to hunt in packs. And they are deadlier when they have a leg-spinner in their ranks. Sarfraz soon unleashes his second line of attack. Hasan Ali is bowling from one end, and Shadab Khan from the other. The 19-year-old Pakistani leg spinner was two years old when Yuvraj made his international debut. But Shadab has the zest of youth and tosses one up to lure Yuvraj into a cover drive. It is from the back of Shadab’s hand. Shadab’s wrong’un is not easy to read as it goes past Yuvraj’s outside edge. Yuvraj is half out. And then the second half is out on the next ball, one that pitches on a similar length but turns back in. Yuvraj tries to jam his bat, and the umpire adjudges it not out. Shadab thinks otherwise, he knows better and directs his captain into taking a review. He is right. Shadab is sure he has got his man, Yuvraj Singh. Technology confirms that Yuvraj was plumb. Hasan Ali sets his field against Dhoni. Deep square leg in place. It is an obvious trap. The ball is short and climbing into Dhoni’s ribcage. He takes a dab at it and puts it straight down the trap, where Imad completes a fine diving effort. Hasan starts the generator and opens his arms in trademark celebrations. He is already the highest wicket taker in the tournament, but this moment is more important to him. He has come, he has planned and he has conquered the Indians. In the space of four balls, both Yuvraj and Dhoni are parcelled back to the pavilion. India are 54/5, with the top five back in the hut. That’s game, set and match for Pakistan. Hardik Pandya later launches himself into Shadab, but it is too late. 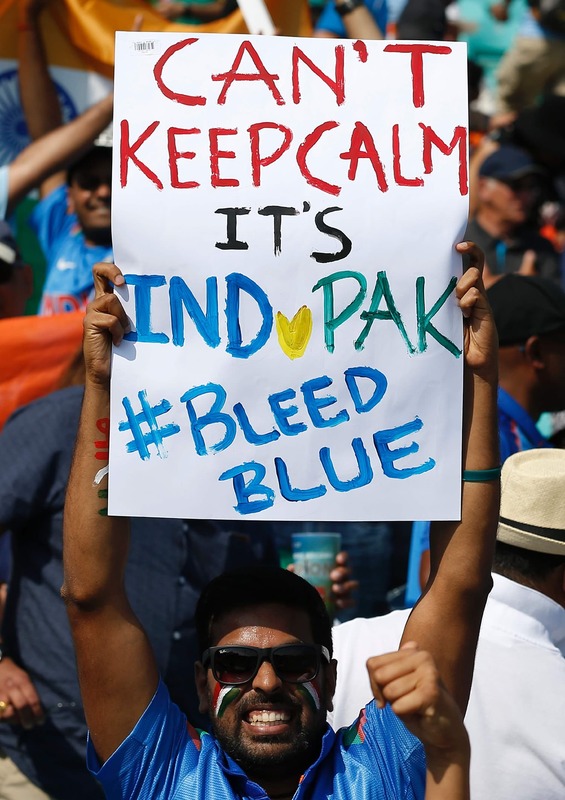 A lot of the Indian crowd is leaving the stadium and the writing is on the scorecard. India are eventually bundled out for 158 runs. Pakistan win the match by 180 runs and are crowned as the champions. They received white jackets that are two sizes bigger, perhaps tailored better to fit the English team. 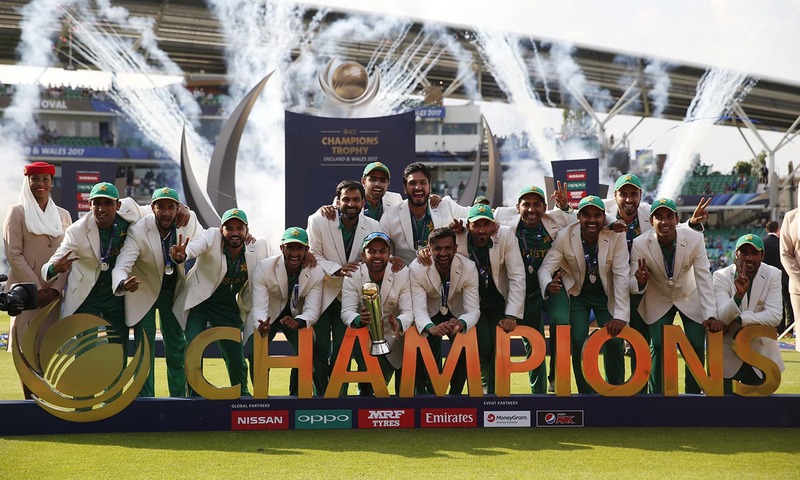 Sarfraz and his boys celebrate. The entire team goes down in prostration. The streets of London turn into Lahore. And celebrating fans surround Sarfraz’s house in Karachi. Television sets break across India, and Rishi Kapoor’s twitter account is painted with green graffiti. Almost every Pakistani player who comes for an interview starts by first thanking Allah. It is as if Pakistan believes that they play with supernatural support from a superior being. As if they have a team of twelve instead of eleven on the field. Pakistan’s performance is paranormal, it is pure magic and it is almost unfair.